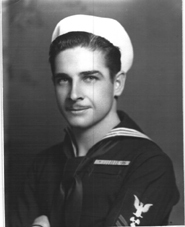 A Pearl Harbor Survivor, Elmer Witherow went on to serve aboard the USS Salt Lake City (CA-25). He served in the US Navy during WWII, where he was a survivor of the Japanese attack on Pearl Harbor, Korean War & Vietnam War. He married Louella Lundberg on April 18, 1961 in Honolulu, Hawaii. He is survived by a daughter, two sons and numerous other family members. He retired from the US Navy in 1970 as a Chief Warrant Officer with 30 years of service. He was a life member of Pearl Harbor Survivor Association, American Legion Post No. 235-Union, Veterans of Foreign Wars & Masonic Western Lodge No. 2, Nebraska City. He was also a lifetime member of Royal Arch Masons Florence Post No. 61 in Omaha, Tangier Shrine Temple of Omaha, Mobile Nobles of Tangier Temple, Omaha, Council No. 1 Cryptic Masons, and Mt. Calvary Commandery No. 1, K. T.
Elmer graduated from Union High School in 1939. he entered the Navy on Sept. 19, 1940, and departed early in Jan. of 1941 for Pearl harbor, Hawaii. He survived the sinking of the USS West Virginia on the day of infamy; Dec. 7, 1941. He served in the Korean War aboard the USS Carpenter and was aboard the USS Surfbird during the Vietnam War. The USS Surfbird was a converted mine sweeper, which participated at DeNang, CamRan Bay, Vung Tau & surrounding water. In civilia life, Witherow pursued a career in line with his military training as a technical representative for several insurance companies inspecting boilers and machinery. He fully retired in 1984. Ships he served on during his 30 year career.